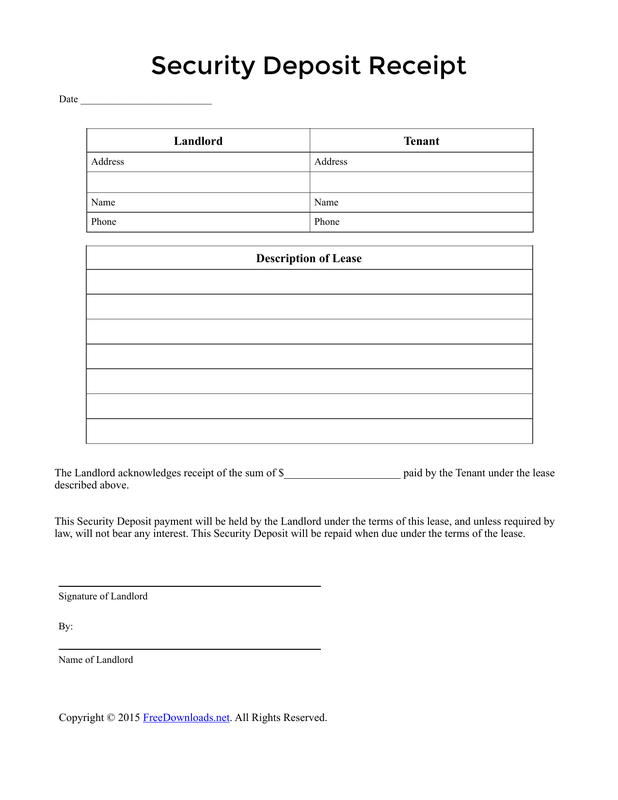 Download the security deposit receipt template that is a form by a landlord to give a tenant to show that they have paid the deposit required by the lease agreement. This is usually a one (1) time payment that is to be held until the end of the lease term in the event there is a breach by the lessee or there is damage or repairs needed at the end of tenancy. All landlords should check with their State to verify the amount that they can charge as some have a maximum of the equivalent of one (1) or two (2) months’ rent.